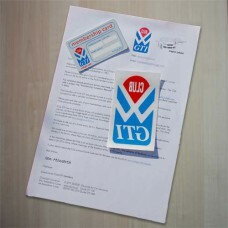 You’ll receive in the post – 1 Membership Pack consisting of 1 membership card valid for 12 months, 1 Club GTI logo sticker, Membership welcome letter and your unique membership number. If you’re an returning member regardless of how many years, we may still have your number on record! We will attempt do our best to find your original number before issuing a new one. Please allow 21 days to process your membership and 30 days to send your card BUT we will endeavor to process it earlier when possible.